The unregulated collecting, processing, and redistribution of undesirable e-waste tend to be performed by workers at informal recycling facilities such as home residences, temporary sites, and workshops. (Heacock et al, 2016). Communities in these third world countries often are occupied by poverty-stricken individuals who rely on any job opportunities they can get as well as primitive health care systems. These workers do not know the risks of e-waste management and therefore willingly work in this risky business. Adults tend to be the ones who work in these informal recycling sites but, children are often used as labourers as well due to their small hands. This makes them ideal for disassembling equipment (Heacock et al, 2016). There are many ways that people can be exposed to the nasty chemicals that come from e-waste recycling. With different metals, there are different exposure times which can vary by type of e-waste, quantity, length of processing, and vulnerability of the person to certain chemicals. An example that was found in China, was the researchers were looking at rice and dust samples in a house close to an e-waste recycling facility. They found that that the dust and rice had twice the maximum acceptable concentrations of lead, cadmium, and copper in them (Heacock et al, 2016). These metals, put children in the household, at a high risk for neurological diseases as well as adverse health effects. Breast milk was also looked at from mothers who worked near e-waste sites, their milk was compared with different mothers and was found that they had elevated exposure to toxins in their milk such as dioxin (Heacock et al, 2016). 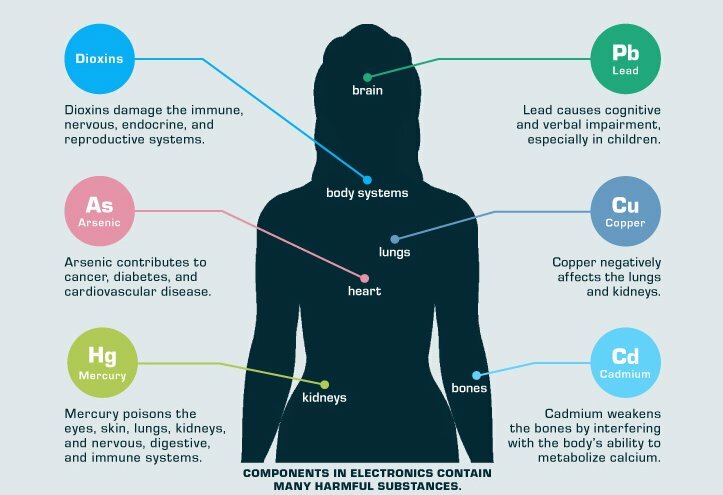 Figure 2: Picture showing the Components in Electronics that contain Harmful Substances. Toxins such as mercury, cadmium, lead, and brominated flame retardants have been found to lead to permanent cognitive deficits in children and change their behavioural and motor skill function for the rest of their lifetime (Awastin and Li, 2017). Awasthi, Abhishek Kumar and Jinhui Li. 2017. “Management of Electrical and Electronic Waste: A Comparative Evaluation of China and India.” Renewable & Sustainable Energy Reviews 76: 434-447. doi:10.1016/j.rser.2017.02.067. Heacock, Michelle, Carol Bain Kelly, Linda S. Birnbaum, Åke Lennart Bergman, Marie-Noel Bruné, Irena Buka, David O. Carpenter, et al. 2016. 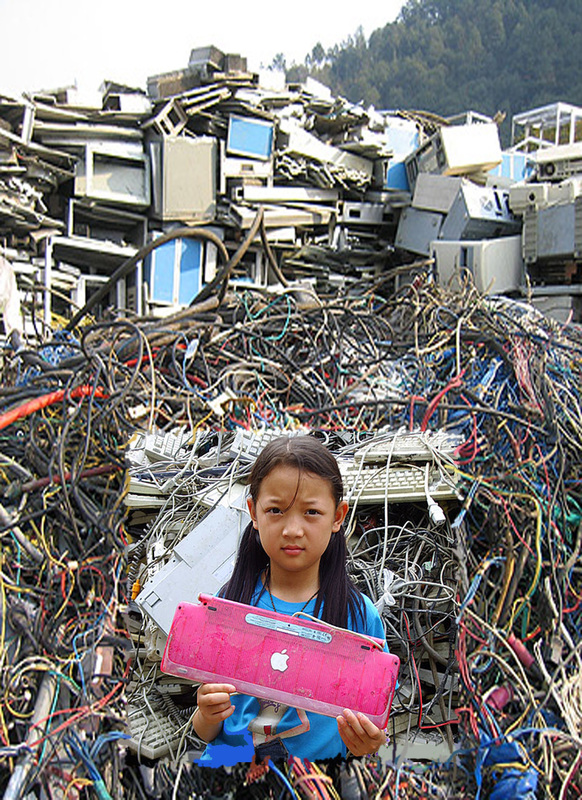 “E-Waste and Harm to Vulnerable Populations: A Growing Global Problem.” Environmental Health Perspectives 124 (5): 550-555. doi:10.1289/ehp.1509699. http://search.ebscohost.com/login.aspx?direct=true&db=8gh&AN=115072532&site=ehost-live.